Below you can view all the homes for sale in the Parkside Terrace subdivision located in Henderson Nevada. 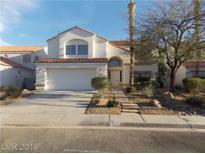 Listings in Parkside Terrace are updated daily from data we receive from the Las Vegas multiple listing service. To learn more about any of these homes or to receive custom notifications when a new property is listed for sale in Parkside Terrace, give us a call at 702-323-5903. New Two Toned Paint In & Out Over Fresh Texture*slab Granite Counters W/Stone Backsplash*full Stainless Appliance Pkg W/Frig, Washer & Dryer*plush New Carpet, Ceramic Tile & Hardwood Flooring*professional Landscape Front & Rear*new Fixtures, Sinks, Faucets, Fans W/Plantation Shutters & New Wood Blinds*4 Bdrms + Huge Loft*dual Shower/Stone Master Shower, Covered Patio, Walk To Desirable Schools And More! MLS#2085682. 1st Priority Realty, LLC. Check out the privacy of the large backyard, Stucco walls, French doors, Wet Bar, Laundry Room with sink and cabinets, workbench, solar screens and more. MLS#2070660. BHHS Nevada Properties. Granite Counter Tops In The Kitchen With Dining Nook & Sliding Glass Door To The Backyard. 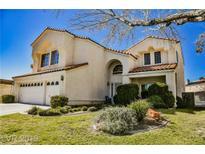 Come Check This Home Out!! ! MLS#2069620. Simply Vegas. Large secondary rooms. ACT TODAY DONT DELAY MLS#1987050. Platinum R.E. Professionals.